Principal Building Services (PBS) is a full service Janitorial/Facilities Company that was established on a simple belief that quality workmanship and open communication are the keys to true customer satisfaction. Principal Building Services is a customer-oriented firm offering a full range of cleaning, maintenance, restoration and specialty services throughout the Tri-state Area, Massachusetts, New Hampshire and Colorado. With our experienced managerial and front-line staff, state-of-the-art equipment and commitment to top-notch service, Principal Building Services will maintain your institutional, industrial, commercial and retail environment to the highest standards. Principal Building Services is founded and managed by seasoned veterans with a strong track record in premium janitorial maintenance and specialty services. We are a privately run, owner-operated business staffed with hard-working, trustworthy individuals dedicated to getting the job done the way you want it done. At Principal Building Services, we don’t just get it clean. We get it right. Though a medium sized organization, Principal Building Services is able to provide its services in a professional, courteous and personal manner. All service requests are handled promptly. Our services are available 24 hours a day, 365 days a year for any standard or emergency service. At Principal Building Services, client satisfaction is our #1 concern. Our satisfied customers include institutional, industrial, corporate and media facilities, retail showrooms and many others. We welcome the opportunity to discuss with you how Principal Building Services can help you to maintain clean and attractive environment. Principal Building Services is a firm that is professionally managed, dedicated to service, attuned to industry trends and developments and most importantly, concerned about you the client. 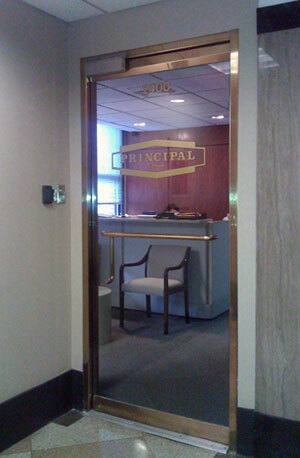 Principal Building Services a diverse clientele. Our clientele includes appearance oriented “high-end” tenants to the back office operations. We service a variety of clients from Class A office towers to institutional accounts. No account is too large or too small for our management staff. Staff members include Executives, Managers, Supervisors and Night Managers directing more than 10 million square feet of cleaning services daily. Our management personnel have a combined industry experience of over 100 years. The same can be said for our operational and support personnel. It is with assurance that our customers call upon Principal to customize and fill any or all of their janitorial needs. Principal Building Services provides services for commercial office buildings, residential buildings and institutional clients. 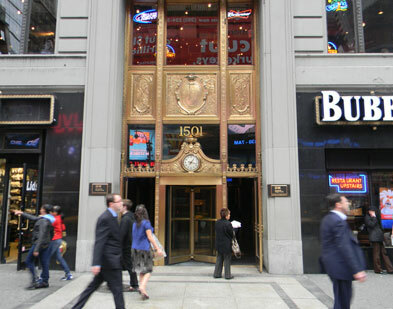 We service both the interior and exterior of facilities throughout the New York Metro and Tri-State. At Principal, we understand the positive impact that a clean and healthy environment has on your companies image as well as employee productivity.. We are constantly working to improve the experience of our clients. Your satisfaction is our top priority and through quality customer service and a dedicated staff we aim to exceed your expectations. If you're on site janitorial staff is in need of supervision Principal Facility Management has the expertise needed to oversee the job. We can manage everything from scheduling to payroll, with both on site supervision and off site administration, we can oversee the maintenance of your facilities so you're employees can go back to what they do best. Our Facilities Management program is nation wide and tailored to meet your needs. The quality of your space, the shine of the metal and detail of the stonework says a lot about your corporate image. Newly restored surfaces help to improve the ambiance of your building and preserve it’s allure. At Restoration Specialty Services we are dedicated to enhancing and preserving the craftsmanship of your interior and exterior design. At Principal we know that every industry has different needs and requirements. With that in mind Principal Service Group is dedicated to the maintenance of retail spaces. We service every type of retail space, from nationally recognized chains and high end boutiques to mom and pop store fronts. Just as your appearance is a representation of your brand, our work is a representation of ours.